Aidan Riga is a junior at Solon High School. 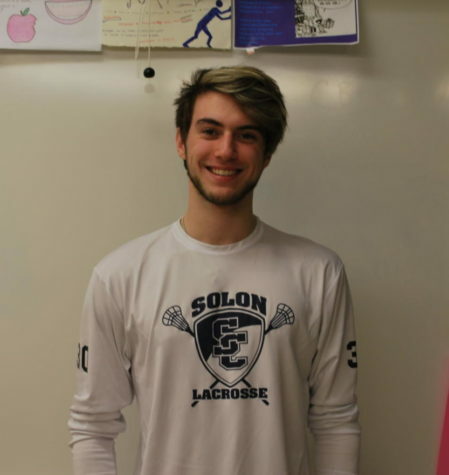 He is a Varsity Lacrosse player and also a part of Student Council and Students Against Destructive Decisions (SADD). Some of his hobbies include watching Netflix, hanging with friends, working out and playing Ping Pong.